To combat last year’s Deepwater Horizon oil spill, nearly 800,000 gallons of chemical dispersant were injected directly into the oil and gas flow coming out of the wellhead nearly one mile deep in the Gulf of Mexico. Now, as scientists begin to assess how well the strategy worked at breaking up oil droplets, Woods Hole Oceanographic Institution (WHOI) chemist Elizabeth B. Kujawinski and her colleagues report that a major component of the dispersant itself was contained within an oil-gas-laden plume in the deep ocean and had still not degraded some three months after it was applied. 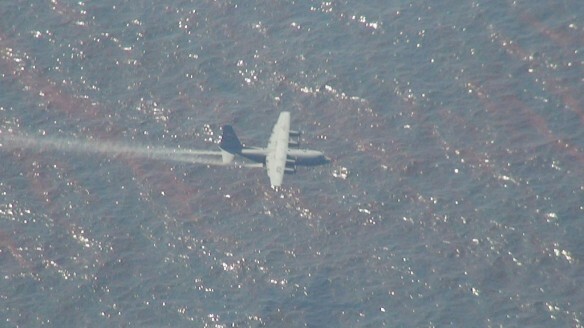 While the results suggest the dispersant did mingle with the oil and gas flowing from the mile-deep wellhead, they also raise questions about what impact the deep-water residue of oil and dispersant, which some say has its own toxic effects, might have had on environment and marine life in the Gulf. Kujawinski and her colleagues found one of the dispersant’s key components, called DOSS (dioctyl sodium sulfosuccinate), was present in May and June, in parts-per-million concentrations, in the plume from the spill more than 3,000 feet deep. The plume carried its mixture of oil, natural gas and dispersant in a southwest direction, and DOSS was detected there at lower (parts-per-billion) concentrations in September. Though the study was not aimed at assessing the possible toxicity of the lingering mixture, Kujawinski said she would “be hard pressed to say it was toxic”, it nevertheless warrants toxicity studies into possible effects on corals and fish such as tuna, she said. The EPA and others have already begun or are planning such research, she added. “The decision to use chemical dispersants at the sea floor was a classic choice between bad and worse,” Valentine said.